Need professional assistance in fixing your car? Depend on Mike – Seattle's Best Mobile Mechanic. I offer my 10 years of auto repair experience to vehicle owners in Kirkland and the neighboring communities. From tuneups and A/C repairs to emergency engine repair or roadside assistance, I can do it all. 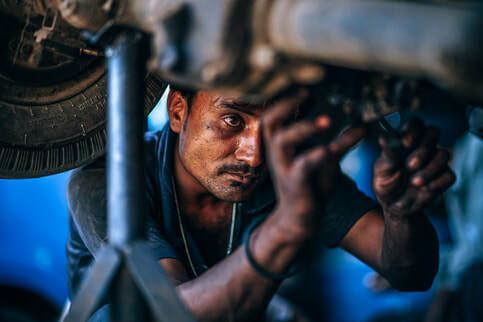 Apart from my comprehensive set of skills, I also bring along my up-to-date equipment to ensure your automobile will be restored in an efficient manner. I'm your Mobile Mechanic in Bellvue, WA so let me know the problems you have been experiencing with your car. I will come to you as fast as I can to deliver outstanding mobile auto repair services. One of the most valuable investments that we have is our vehicle. We save a portion of our money to purchase a car not just to establish a financial status or add to our assets, but also for our own convenience. With the help of an automobile, you and your loved ones can travel from Point A to Point B effortlessly. However, any kind of vehicle eventually encounters defect or damage. When this unfortunate event happens to your car, choose me as your Mobile Mechanic in Kirkland, WA. I understand the importance of your automobile to your daily lives. That is why when you reach out to me regarding a vehicle issue, I make it a point to quickly respond to your concern. I am available to handle emergency situations or attend to your mobile auto repair needs within the day. I don’t want your precious time to be bothered by a simple car malfunction. Count on me to do everything to bring your car back to its pre-purchase condition. I am not just any local mobile mechanic. Mike – Seattle's Best Mobile Mechanic is your friend. When your car breaks down, whether you’re at home, office or somewhere in the community, do not hesitate to contact me. Trust me to be your helping hand in times of unexpected car troubles. As your friend and mobile mechanic, my top priorities are your safety and your car’s health. I will make sure to go to your location immediately to check your vehicle. Expect to have your auto thoroughly checked. I will go above and beyond to determine the root cause of your car’s problem. Your satisfaction is what makes me thrive in giving my 100% all the time. Rest assured that your automobile will be returned to you completely repaired and safe to use. My clients deserve the best service. That is why I make sure to give them a detailed report about my findings on their vehicle. I inform the client about the results of my extensive auto inspection and what the diagnosis is. Then, I lay out my plans on how I’ll fix their car. I will not move forward without the client approval. Trust me to exhaust all effort, find all possible solutions and achieve an ultimate strategy we both agree with. Furthermore, I also make sure that we both approve with the price. I stick with the quote I give. This makes me a Mobile Mechanic in Kirkland, WA who stands behind his word. When you need a local mobile mechanic, look no further than Mike – Seattle's Best Mobile Mechanic. I am someone you can rely on when it comes to your vehicle’s problems. Whether your car needs an oil change or calls for a preventive maintenance, I will arrange my schedule to come and fix your auto right away. Hire Mike to be your mobile mechanic today!